It’s finally (almost) spring!! While we’re still getting snowed on here in Cincinnati, I wanted to make something delicious for breakfast to offset running in a winter wonderland that has long overstayed its welcome. Carrots bring up thoughts of bunnies and spring, and while there will be an actual carrot cake recipe soon, this is a sweet way to change up breakfast. Plus, what’s better than coming back from a long run and having carrot cake for breakfast? Carrot cake that you can convince yourself is healthy. Yeah. You have two options for making this dish! 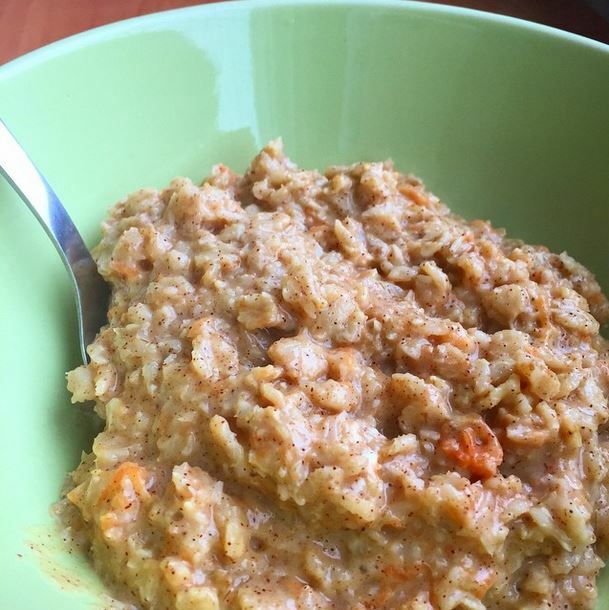 Put the oats, water, salt, walnuts, carrot and butter in a microwave safe bowl. Give it a stir and cook on HIGH for 2 – 2.5 minutes.